The Desert Threads quilt chapter of the Arizona Quilters Guild is very excited to reveal its beautiful Opportunity Quilt for 2019-2020. This fabulous quilt can be yours by participating in our quilt raffle: Tickets are $1.00 each or six for $5.00 from any active DT member. This quilt debuted at the AQG quilt show in March and is traveling to the April spring meeting in Payson. 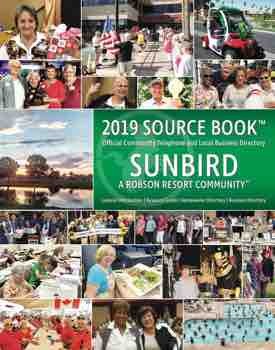 Sales are ongoing throughout all of 2019. If your group is interested in hosting our Opportunity Quilt at a meeting or activity, we would be happy to speak to one of your officers. Funds raised though the raffle support our community service projects and the continuing education of our members. The Desert Threads Chapter proudly announces its new officers for 2019 through 2020: President Sue Bart (re-elected), Secretary Glenna Reeves (re-elected), Treasurer Linda Piasecki (re-elected) and (new) Programs Chris Callahan. Thank you very much, outgoing officers: Melody Fogelsanger as Programs and Chris Callahan as past Vice-President. Thank you also to all Committee Heads: Judy Brown, Membership; Sue Armitage, Block of the Month; Yvonne Cozart, Community Service; Jeanie Sanders and Kathy Norton, Hospitality; Anne Munoz, Newsletter; Johnie Scofield, Publicity; Viv Sloan, Special Interest Projects; and Winnie Collins, Refreshments. At the March meeting, the budget for 2019-2020 was approved, and yearly dues capped at $20.00. 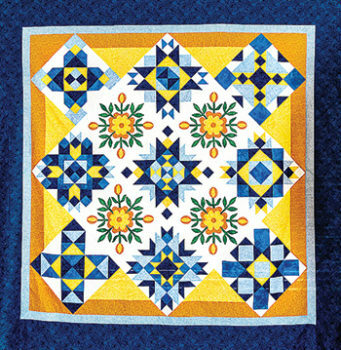 A current membership in the Arizona Quilters Guild (our mother guild) is required. If you are interested in joining, stop by our next meeting/activity as a guest and speak with a board officer. Monthly meetings are the second Wednesday of each month at 9:30 a.m. in the Arts and Crafts Room of Sun Lakes Phase 1, off Sun Lakes Boulevard. At the April 10 meeting, we are hosting a trunk show with sales from Bolts & More, a “modern” quilt shop in Gilbert. Our all-day workday is the first Wednesday of the month (April 3) at 9:00 a.m. in the Sun Lakes Arts and Crafts Room. Currently, we are sewing twin quilts for veterans. Thank you, Viv Sloan, for alerting us to this need at the Veterans’ transitional living facility in Phoenix. We use a very easy pattern, courtesy of Kathy Norton, but any twin pattern is perfect. We always accept fabric donations from the community, so if you can help, stop by on our workday. Saturday, April 13, is the spring meeting of AQG at the Mazatzal Casino in Payson. This spring’s special speaker is Amanda Castor, founder of “Material Girl Quilts.” On April 27, in the Oakwood Sewing Room in Oakwood, Stephanie McCormick is teaching an all-day $15.00 workshop on the Wonky Stars Block. Sign-up is ongoing. Our Ring Around the Demos presentation in March was very successful. Special thanks go to Mona Adams for showing us ruler quilting, Natalie Grenga for demonstrating machine embroidery in quilting and Barb Brandt for doing a 3-D embellishment “make-and-take.” Hoping to see you soon!